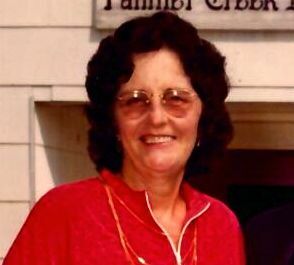 Pauline King Green, of Seagrove, passed away Sunday, February 10, 2019 at Sandy Ridge Assisted Living. Services will be private. Pauline was born on July 14, 1929 to Susie Green and Ervin Nixon King. 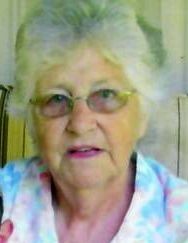 She was a member of Asbury Baptist Church and retired from Clayson Knitting in Star. She loved flowers and working in her yard. In addition to her parents, Pauline was preceded in death by: sons, Robert Hare and Kenneth Hare; sisters, Ruby Williamson and Beulah Phillips; brothers, Morris, Jimmy, Paul (twin), and Clyde King; grandchildren, Anthony Phillips, Robbie Hare, Jesse Hare and David Hare. She is survived by; daughters, Mable R. Hare of Asheboro and Joan T. Glosson (Steve) of Randleman; son, Bill Brown (Christie) of Seagrove; 5 grandchildren, 12 great-grandchildren, and 6 great-great-grandchildren. 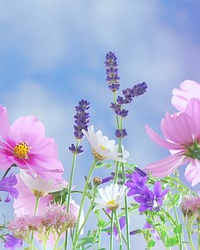 Memorials may be made to HealthKeeperz Hospice 4155 Fern Creek Drive Fayetteville, N.C. 28314 or Alzheimer’s Association, 5171 Glenwood Ave. Suite 101, Raleigh, NC 27612. Joyce-Brady Chapel is honored to serve the Green Family.